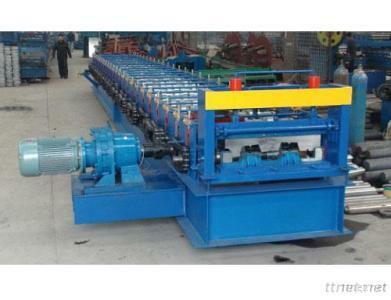 Floor desk panel roll forming machine(website:xinnuochina.com/floor/68.html ) is used for building surface panels, it has many advantages, such as high wave, high strength, high automation and low cost. Steel structural floor panel is the type of steel construction material with character of low light, hard, easy to install, which extensively apply in constructing skyscraper, residential building and bridge. HBYX series steel structural floor panel with the feature of reliable, convenient operation, automatic can be used in various steel structural floor panels forming. This machine is composed of uncoiler, feed leading table, main forming machine, punching system, cutting device, hydraulic station and computer control system.